The most noticeable change in the next version of Breadcrumb NavXT (4.2.0) will be the reorganized settings page (preview screen shot above). Since the introduction and subsequent inclusion of tabular (the code that gives the settings page its tabs), each custom taxonomy and post type has had it’s own tab. This will no longer be the case where there are just 4 tabs, “General”, “Post Types”, “Taxonomies”, and “Miscellaneous”. This reorganization, while causing the content per a tab to be greater, keeps the tab list from growing with every new custom post type and taxonomy added to a site. Additionally, it allows greater distinction between settings for custom taxonomies and custom post types. Previously, there were instances where CPTs and custom taxonomies had the same name in their tabs and it was not clear which was which without entering that tab. Keep tabs on Breadcrumb NavXT 4.2.0 development over at GitHub. Breadcrumb NavXT has hit a feature freeze for 4.1.0. The only things left to do for the next release is some documentation updates, regression testing, and updating translations. Tomorrow the translation team will be notified of the two week window to get their translations updated (only 4 new strings) before 4.1.0 is released. Try the latest Breadcrumb NavXT testing release from the Breadcrumb NavXT SVN Trunk. WP Lynx has also hit a feature freeze for 0.5.0. Open Graph support has been added and all that is left to do is figure out the cause of a few ugly bugs that seem to only appear on my testbed. Additionally, one extra warning message needs to be added to the lynx print adding screen when thumbnails are disabled. See the WP-Lynx 0.5.0 milestone issue list. Try the latest WP Lynx testing release from the WP Lynx SVN Trunk. 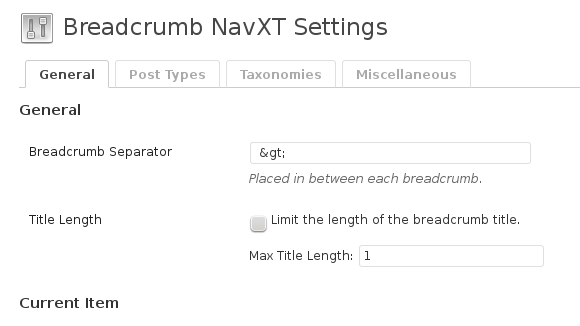 Expect the release of Breadcrumb NavXT 4.1.0 during the last week of May. As for WP Lynx 0.5.0, expect that some time in the first week of June. Yes, you read that correctly, there is a beta release. Yes, this is a tagged release. Yes, the last time there was a beta was four years ago. Breadcrumb NavXT 4.0 is feature complete, after an extended development cycle. Several items that were goals for 4.0 have been pushed back to 4.1 and 4.2. These include contextually aware taxonomy selection and a multisite “global admin” interface. Regardless, several objectives were achieved. Custom post type support has been improved. Several issues regarding custom post type archives and root pages for custom post types have been fixed. The way current items are handled has changed as well. Proper links for current items, if set to be linked, are now generated. The settings page has received a minor update, taking advantage of new features found in WordPress 3.3. Finally, the biggest change in 4.0 is the change in the settings structure. Prefixes, suffixes, and anchor templates were replaced with a linked and unlinked breadcrumb template. Note, Breadcrumb NavXT 4.0 has been developed against WordPress 3.3. This beta and the final release will require WordPress 3.3. Please keep this in mind while testing. Grab Breadcrumb NavXT 4.0.0-Beta1 and report any bugs in the comments section of this post. A few Sunday mornings back, I was woken up by the dog, who was in a quite agitated state. The media center had been trying to come out of hibernation to check TV schedules and do the other miscellaneous stuff that brings it out of sleep. However, it kept rebooting instantly out of the BIOS. Every time the memory check passed, it would beep, annoying the dog, who passed the annoyance onto me. Unplugging the Cisco Valet Connector allowed the media center to boot properly. Cool, well not really, as a WiFi adapter should not keep a computer from booting. The fact that the Valet Connector shows up as a USB flash drive before becoming a WiFi adapter seemed odd to be before. And, I’m placing part of the blame on that behavior for this constant rebooting. 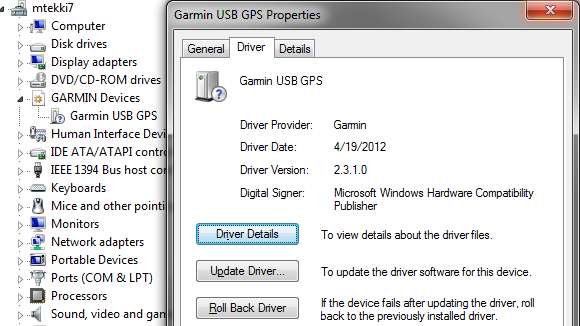 To resolve the issue, I removed USB flash drives from the boot list in the motherboard’s BIOS. When the media center finally booted, I noticed another issue. The Valet forgot that it was supposed to be in WiFi adapter mode. This one was my fault. If you do not complete the device setup using the included easy setup software, the device may not remember its state after reboot. Awesome, right? After completing the setup within the included easy setup software I have not had either issue reappear for a week now.